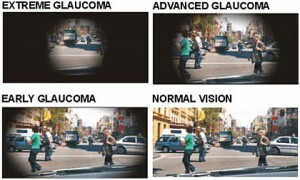 I am not new to eye conditions since I suffer from glaucoma in my right eye since 17 years. I had drops that would take care of my vision. At 70 years one doesn't worry much about vision since its a part of old age. But my thought process changed 3 years ago when my real ordeal began with issues in my left eye. My vision in left eye seemed to diminish with each passing day over the past 3 months. Nothing was clear to look at and the eye pain that came with was another issue all together. I had watering of eyes due to which I couldn't read anything for more than 2 minutes nor watch any television. I had headaches that seemed to never go away. I realized something is wrong and that is when I decided I had to consult an eye doctor. After some looking around on internet, I found out about Advanced Eye Hospital and Institute (AEHI eye hospital) and it was listed as one of the best eye hospital in Navi Mumbai. Just a few minutes ride from my home (Vashi) meant an easy consult. I came to AEHI on Palm Beach road for consultation with Dr. Vandana Jain, Cataract and Lasik surgeon at AEHI. She diagnosed me with glaucoma and cataract as well. Dr. Vandana Jain is amiable, humble and takes time to hear you out clearing all your misconceptions instantaneously. Since I had multiple issues with my eye, I was consulting Dr. Vandana Jain and Dr. Rajesh Mishra, Glaucoma specialist at AEHI. Dr. Rajesh Mishra also comes across as a warm person who understood my problem and accordingly helped me with my treatment. Both of them were of the opinion to get rid of the cataract as it was too mature. The eye clinic staff escorted me to respective doctors cabin and took out few minutes of their precious time to let either of them know what was going on with me and what each suggested. This proved to me that they took active interest in every patient’s case and that was my special moment when I knew I took the right decision picking AEHI as my eye hospital. The eye surgeons at AEHI hospital are not only one of the best eye surgeons in Navi-Mumbai but also good human beings who value the experience a patient receives during their hard time. I got a date for my cataract surgery and finally underwent the cataract surgery on 4th November 2015. Ever since then I have been happy with the results. Dr. Vandana Jain, Cornea and Cataract surgeon told me that the operation wouldn't last for more than 20 minutes with overall time taking about an hour and that was how it actually was. Immediately after the surgery the care provided was good. The nursing staff and the helping staff always made sure I was comfortable and displayed respect and compassion. The infrastructure and set-up of the hospital is excellent and the staff has managed to take care of hygiene all over the hospital including the restrooms. It is their joint teamwork and hard work that has made them worthy of the title of one of the best eye care hospitals in Navi-Mumbai. One of the factors that makes AEHI as one of the best eye clinics in Navi Mumbai is the fact that they took care and tried to do their best to get me appointments on the same day with Dr.Vandana Jain and Dr. Rajesh Mishra for my cataract and glaucoma to make sure it wasn't much of a hassle for me. After my cataract surgery was done i was following up with Dr. Rajesh Mishra, a Glaucoma surgeon at AEHI. I was worried I may need a surgery but he said it wasn't necessary. Any patient always is happy to hear a treatment without surgery that does the job for you. He managed my glaucoma with eye drops and prescribed some medications. I have been using medicine for glaucoma for past 17 years and it can burn a hole in one's pocket. But the medicines that Dr. Rajesh Mishra prescribed were so easily available and cost efficient. 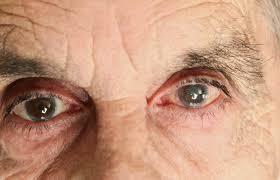 I started using the drops and medicines he prescribed for my glaucoma and all of my issues faded away. I would sum up my experience with AEHI hospital as the eye hospital that thrives on providing best treatment for cataract and glaucoma in Navi Mumbai and holds on to good etiquettes and values; which means a lot to me. It is then it made sense as to what sets AEHI apart and why it is known as one of the best eye care hospitals in Navi-Mumbai. Dr Vandana Jain is a renowned Cornea, Lasik and Cataract surgeon and the Director of AEHI. Dr Jain has won best fellow awards and medals at Delhi University and L. V. Prasad Eye Institute and then further trained at Harvard, USA. Having performed more than 10,000 cataract operations, she has vast experience of dealing with all kinds of complicated cataract surgeries. According to her cataract surgery needs to be customized to the patient’s needs and physical disability. She additionally believes that team work and alliance with other specialists help in planning and giving the best cataract surgery results to the patients. Dr. Rajesh Mishra is a Glaucoma and Cataract Surgeon at Advanced Eye hospital near Vashi, Navi Mumbai. He has several years of experience and has served at various hospitals around the country. Being a glaucoma specialist, his main work focuses on Glaucoma and Anterior Segment. He has treated a variety of glaucoma patients both including adults and children and has operated on more than ten thousand cataracts.